Carey Mulligan has a ''crippling'' fear of her own mortality now she has children of her own. 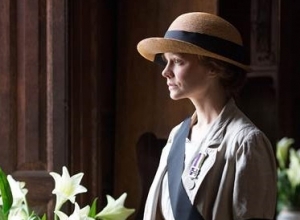 Carey Mulligan has a ''crippling'' fear of her own mortality. The 32-year-old actress - who has a two-year-old daughter, Evelyn, with husband Marcus Mumford and gave birth to their second child four months ago - admitted she often gets overwhelmed at the thought her children will one day have to learn to cope without her being around. She said: ''[I'll] have a huge mortality crisis and get terribly upset that one day [I'll have to] leave my children behind. 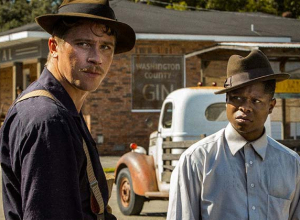 But the 'Mudbound' actress admitted becoming a parent has given her a new perspective on life and she no longer worries about small problems. And the 'Great Gatsby' star's new outlook helped her when she suffered a fashion disaster when breast milk leaked out onto her dress at a high-profile glamorous event. She said: ''Back in the day, I would have been in the bathroom in tears. Carey used to feel uncomfortable about her body but after going through pregnancy and birth, her attitude has shifted. The British actress gained an appreciation for her curves when a friend of hers asked her to hold her baby a few years ago.